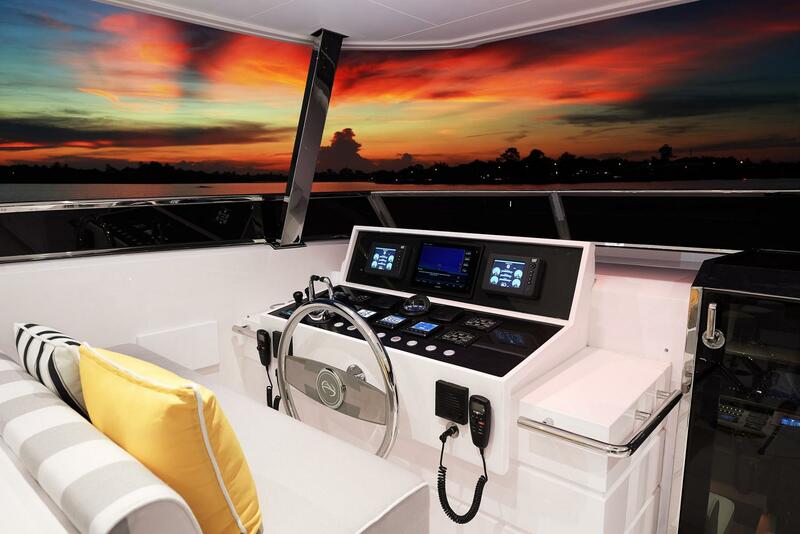 Designed specifically for the U.S. market, this new FD85 offers the ultimate indoor/outdoor cruising experience. 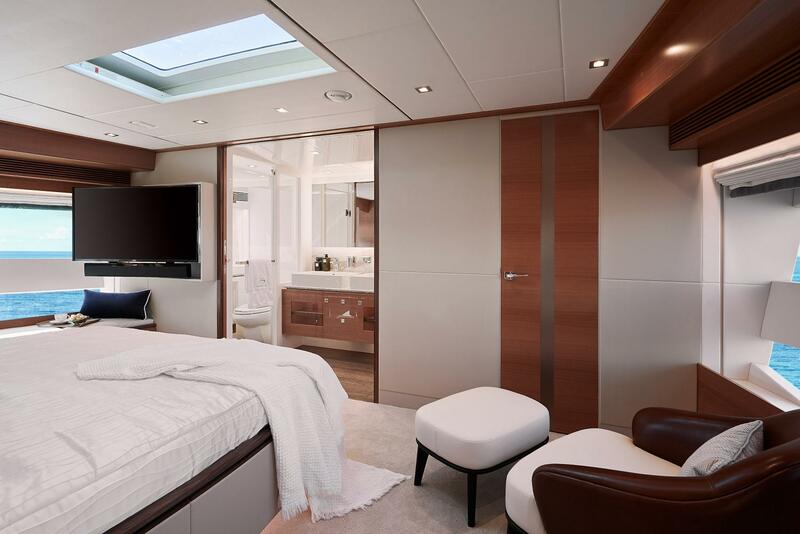 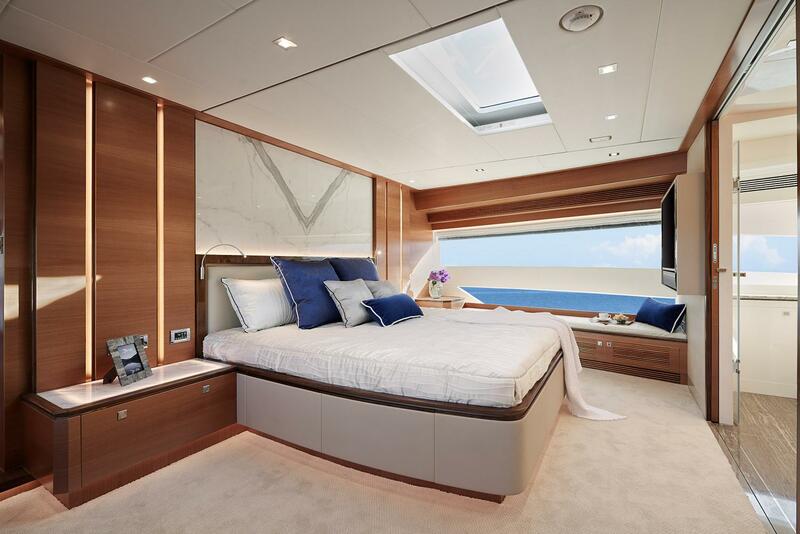 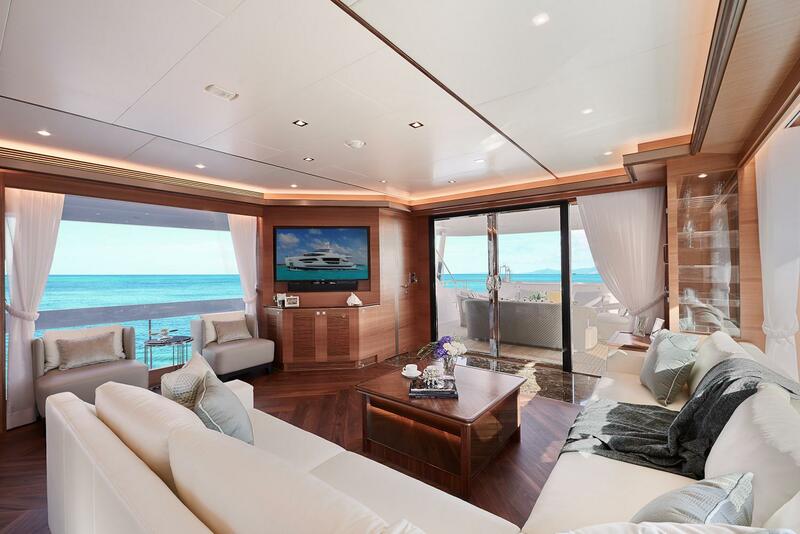 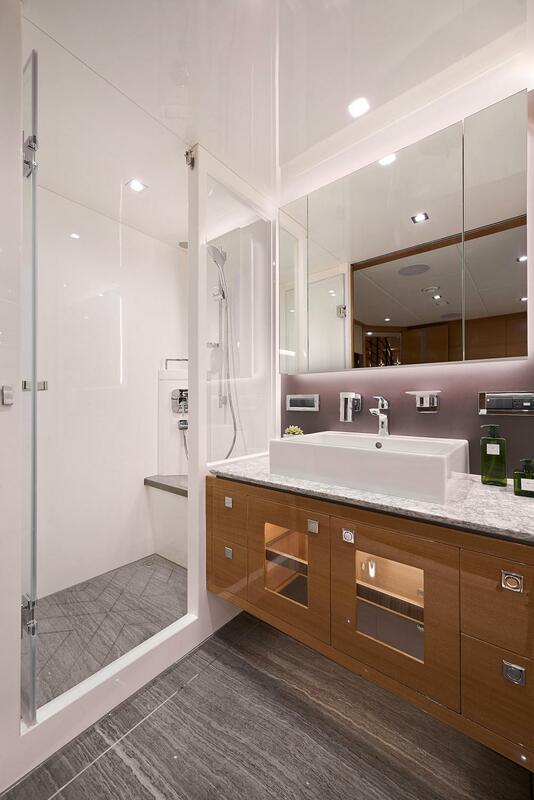 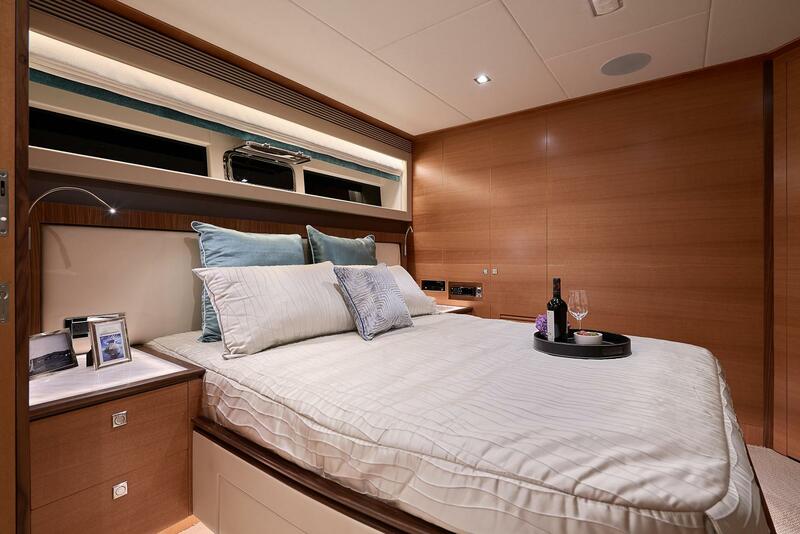 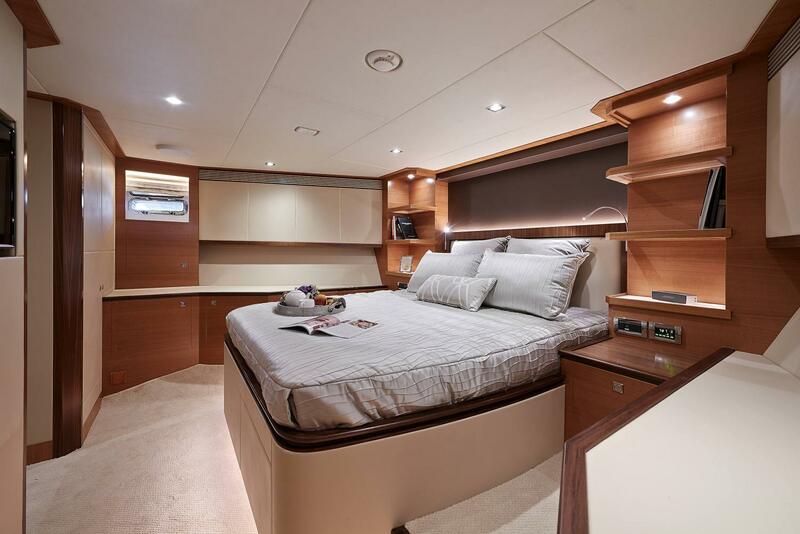 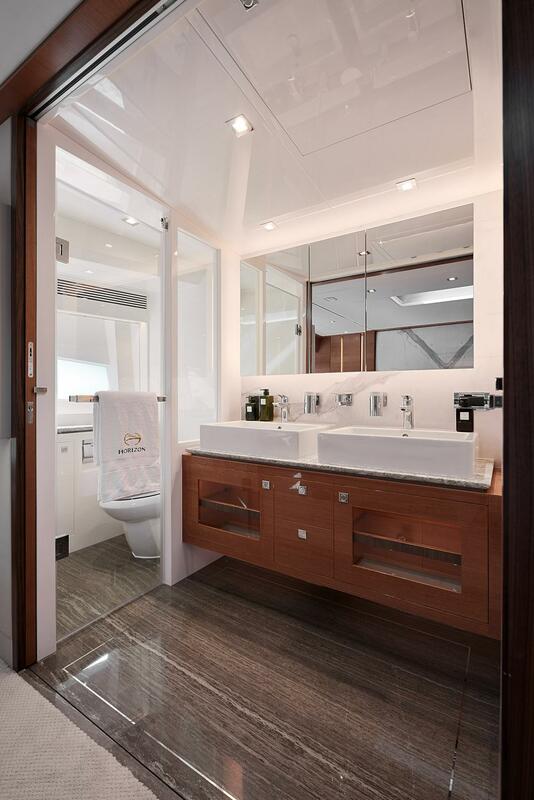 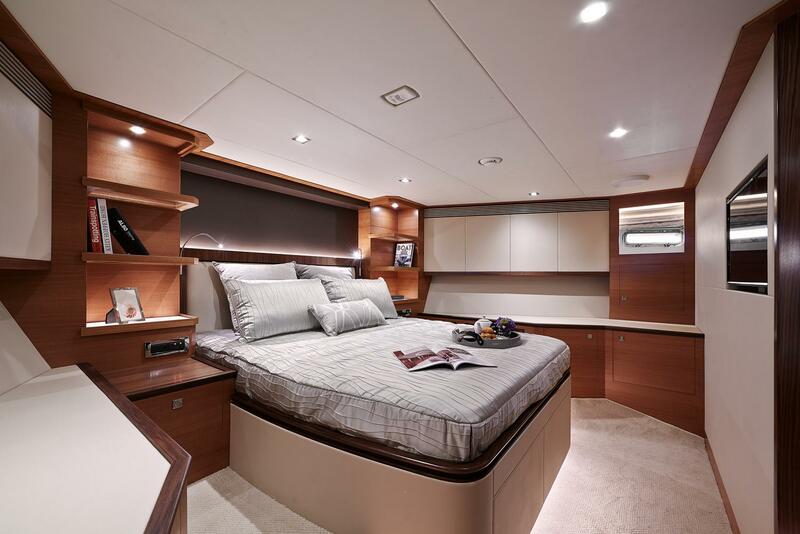 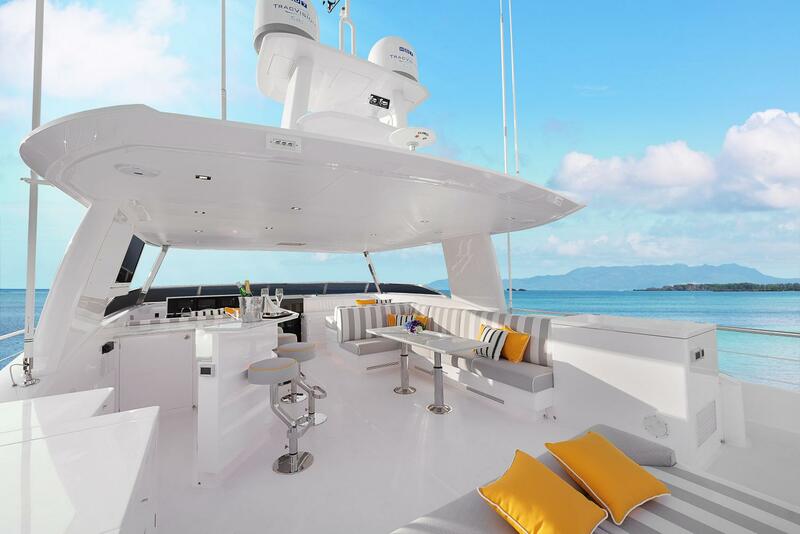 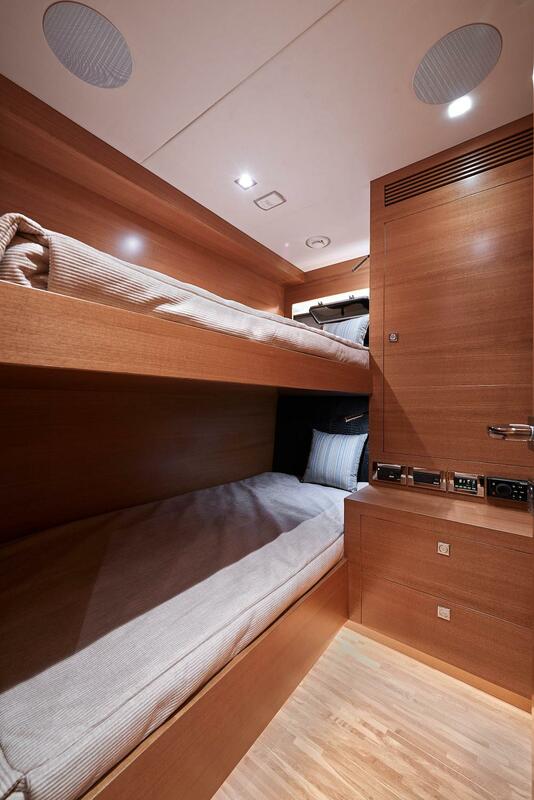 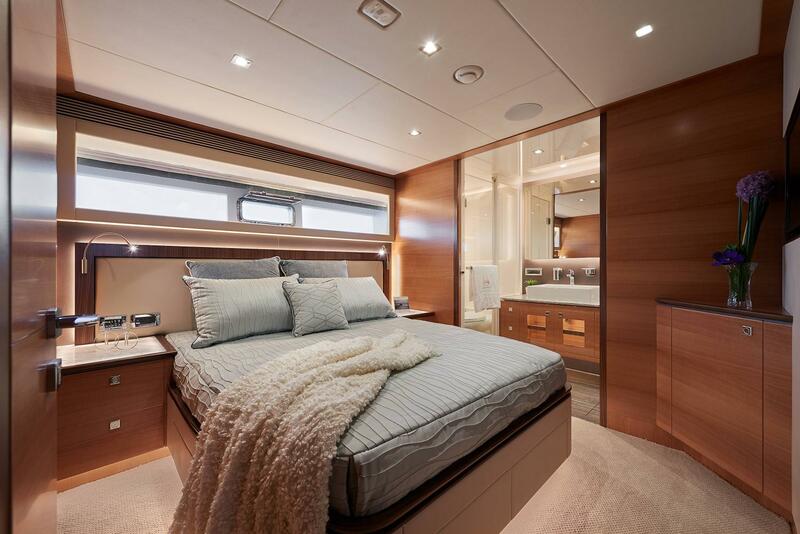 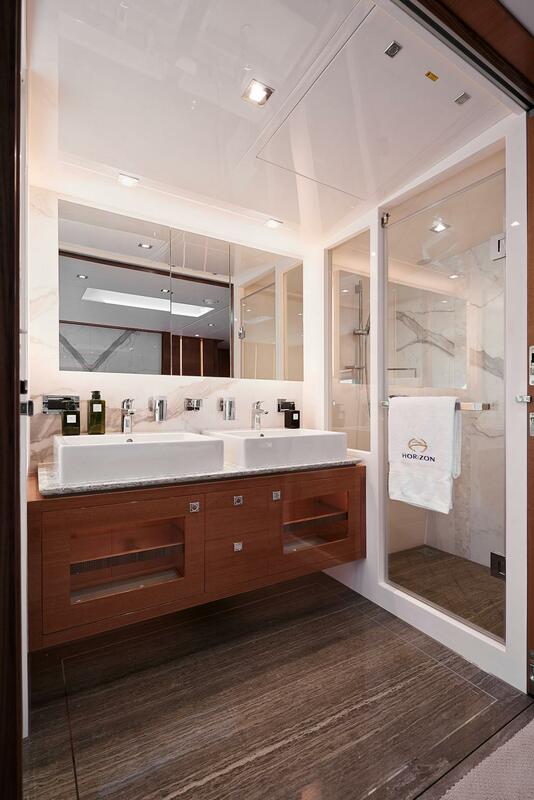 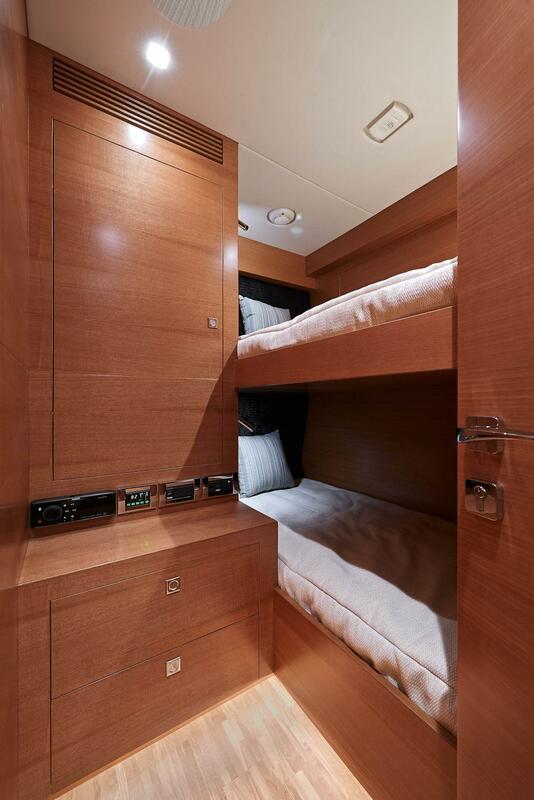 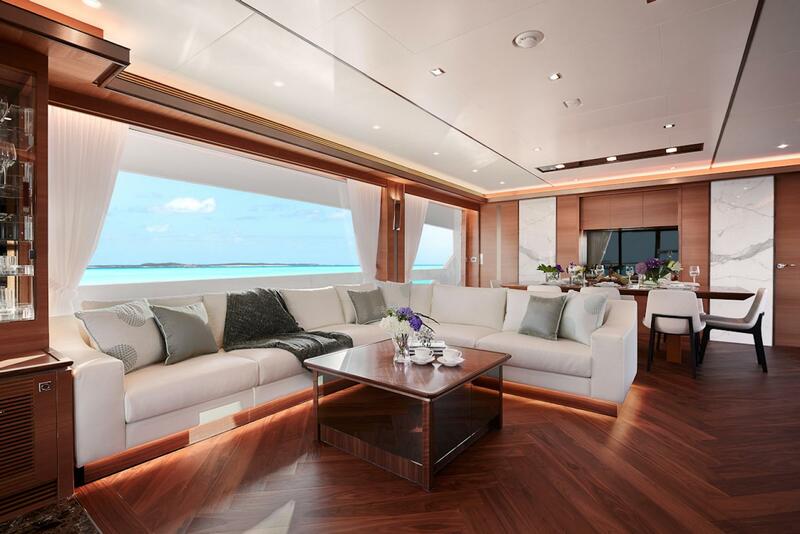 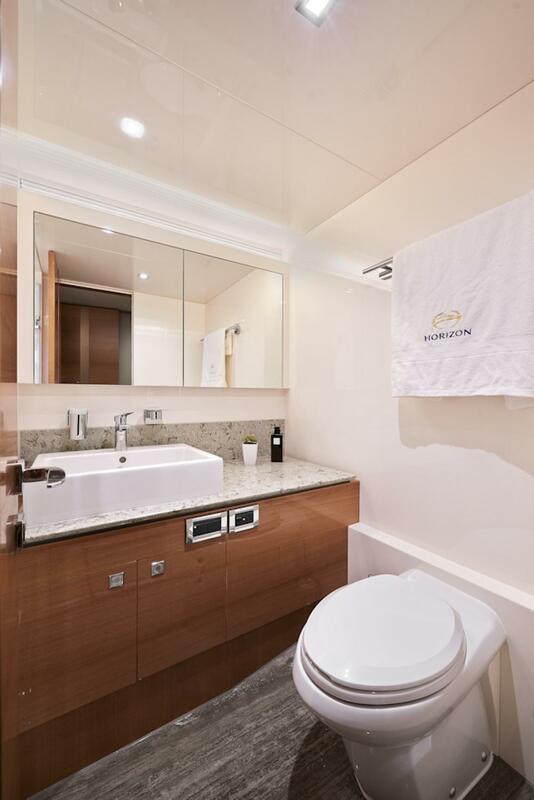 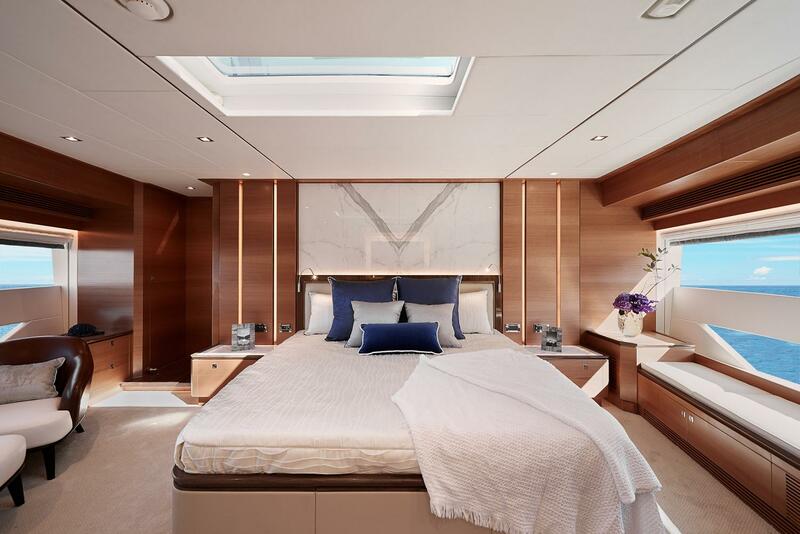 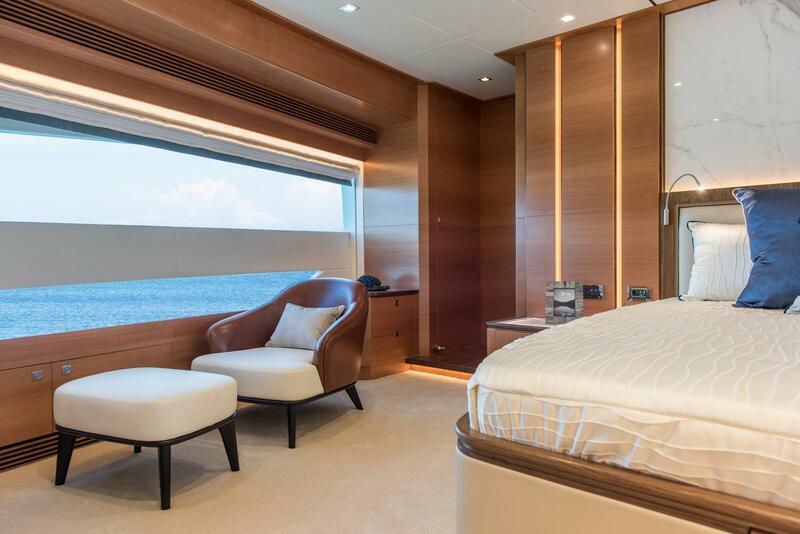 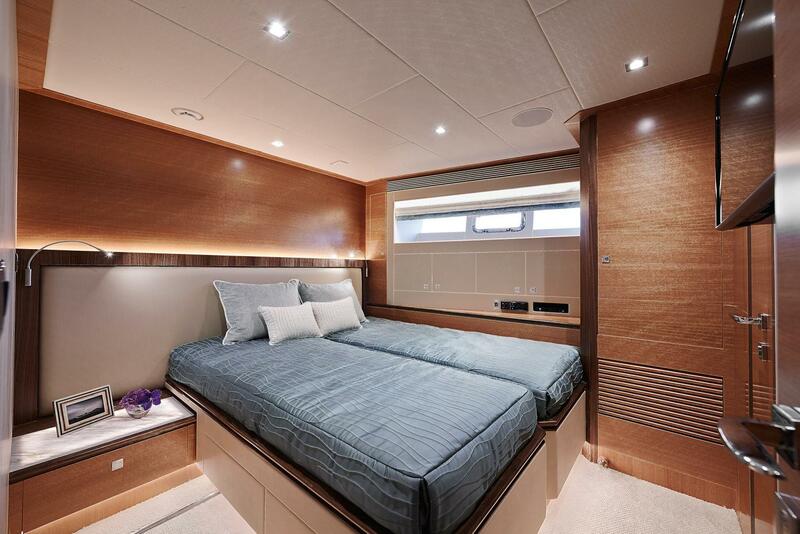 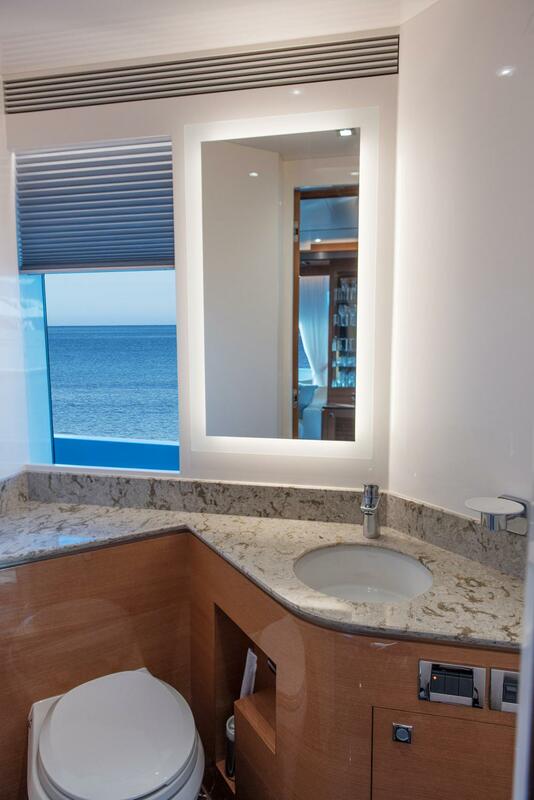 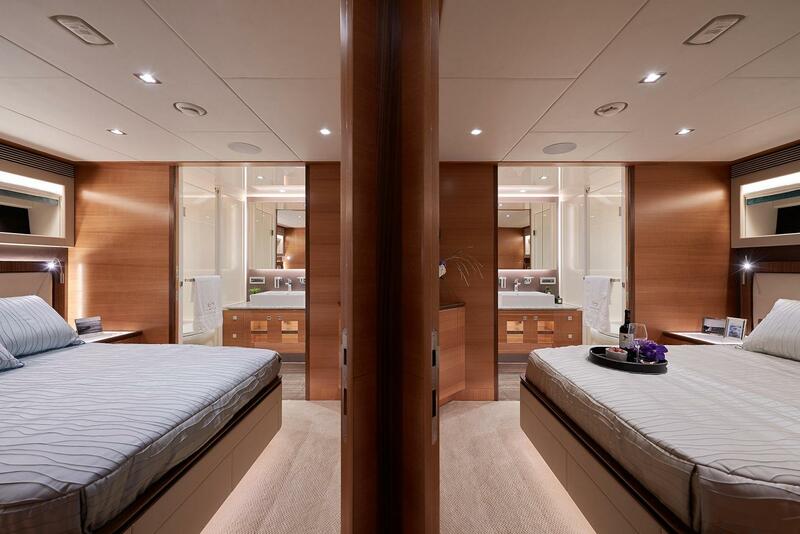 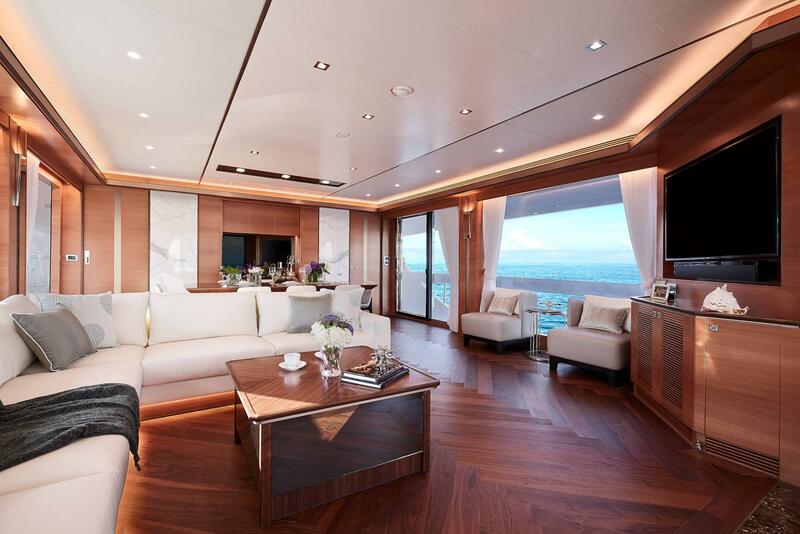 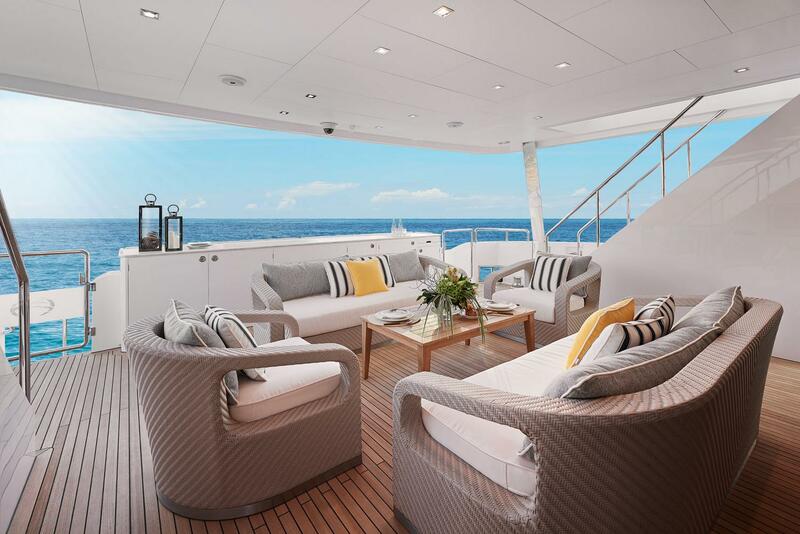 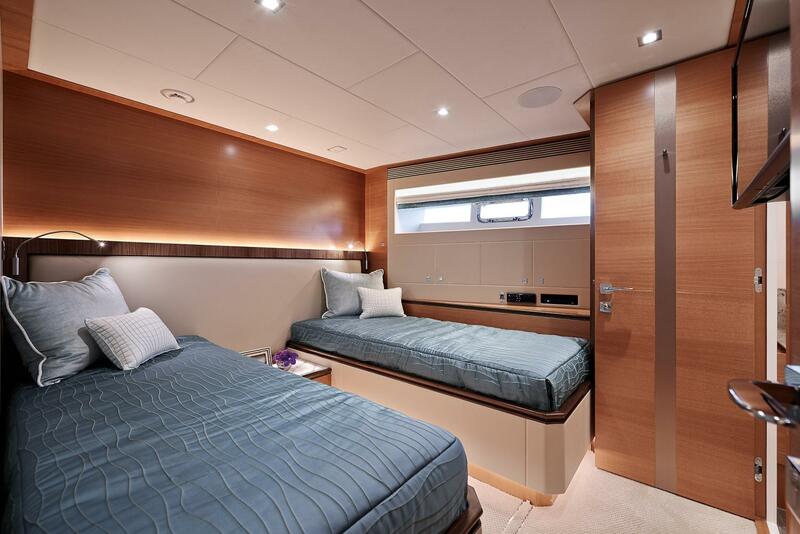 Her incredible 23’3” beam provides a five en suite guest stateroom layout – including an on-deck Master – plus crew quarters aft. 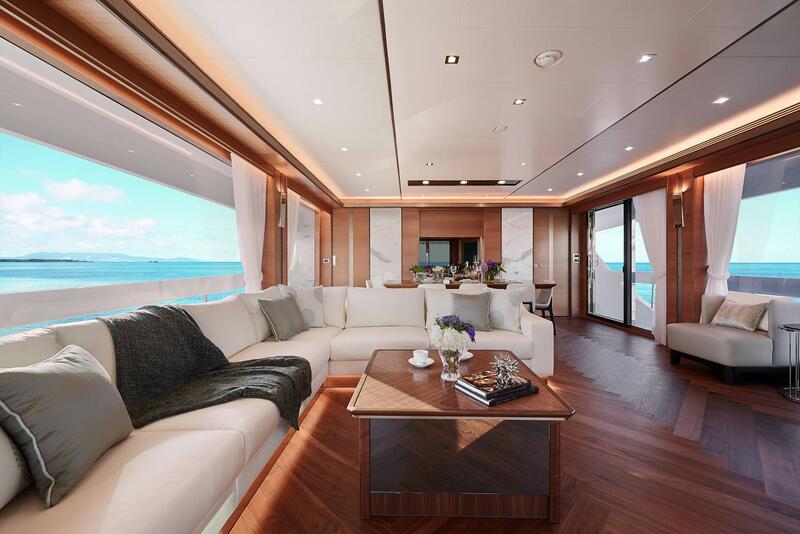 Large windows bring in natural light throughout the contemporary-styled interior, which blends beautiful Anegre wood with neutral soft goods and mixed materials to create a luxurious yet relaxed atmosphere. 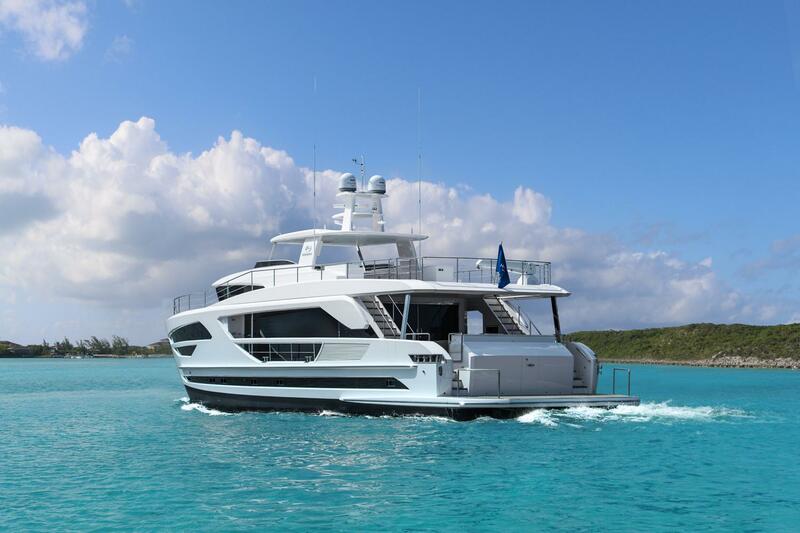 Reminiscent of a luxury resort, her exterior spaces include a spacious aft deck with lounge seating, a hi/lo swim platform, and open flybridge designed with a helm station and entertaining in mind. 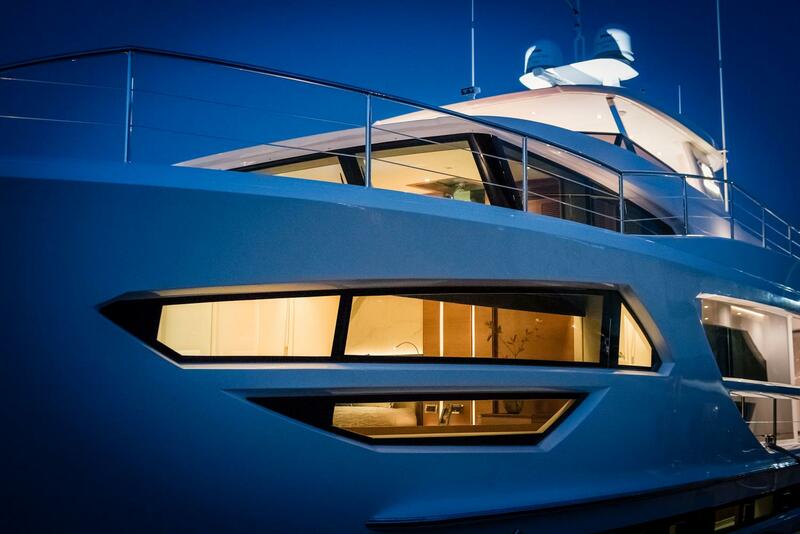 The FD85 includes the new High Performance Piercing Bow (HPPB) designed to ensure enhanced performance and stability. 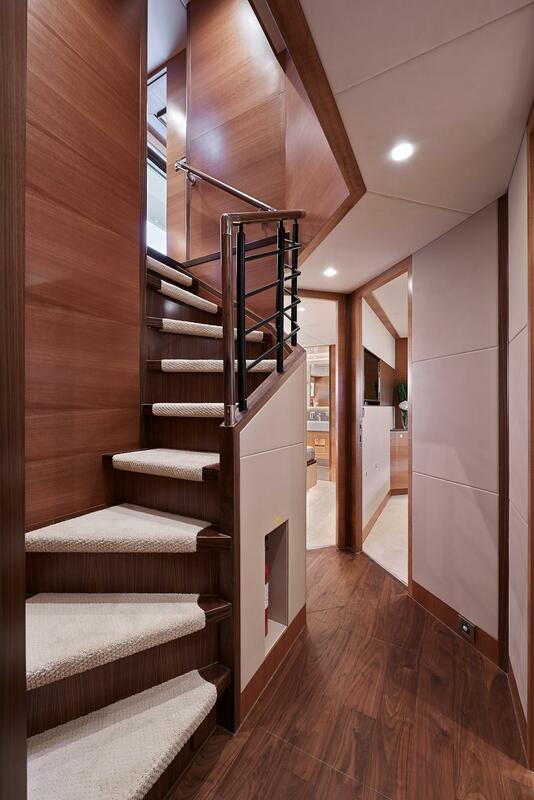 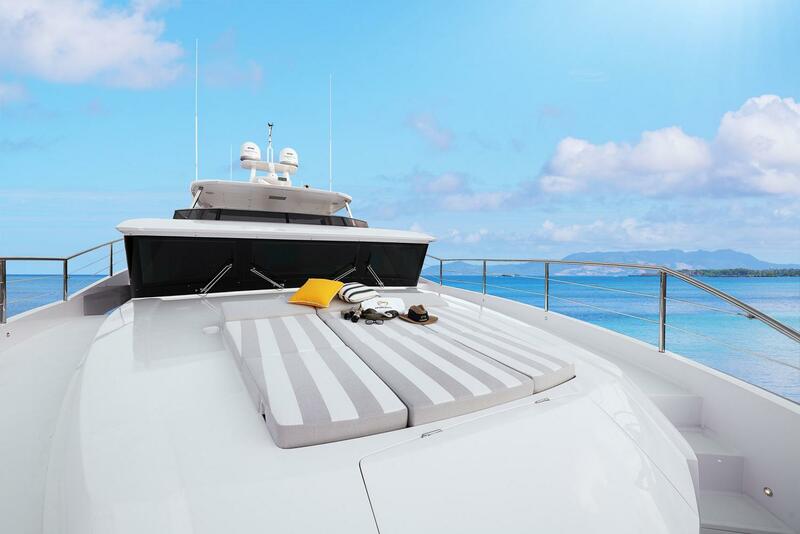 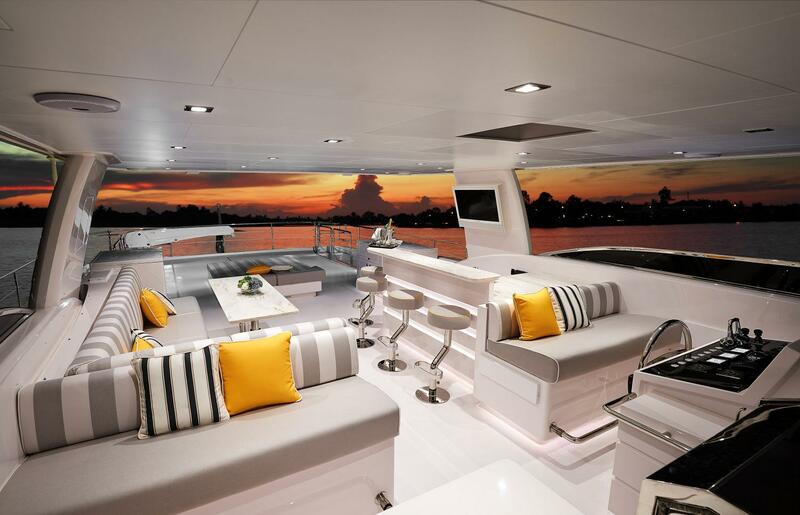 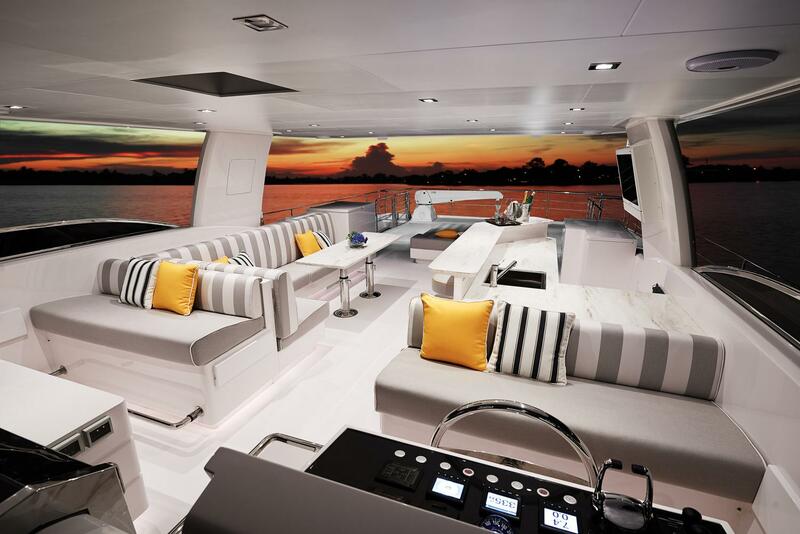 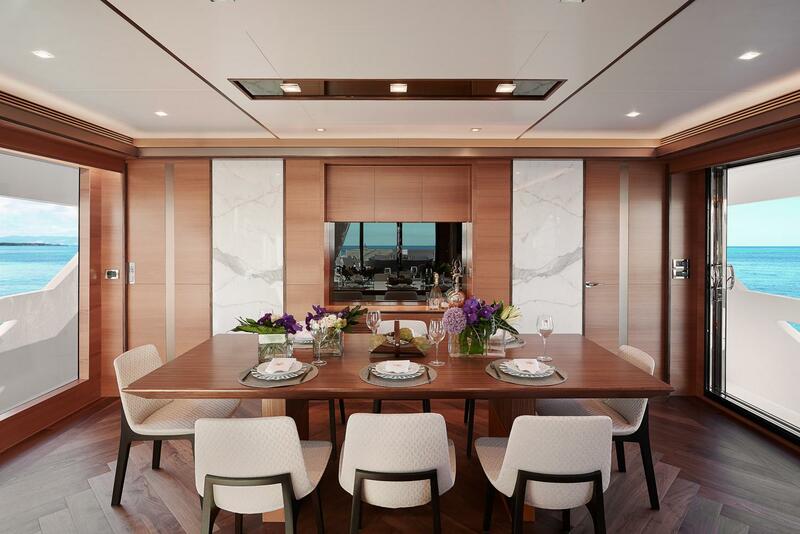 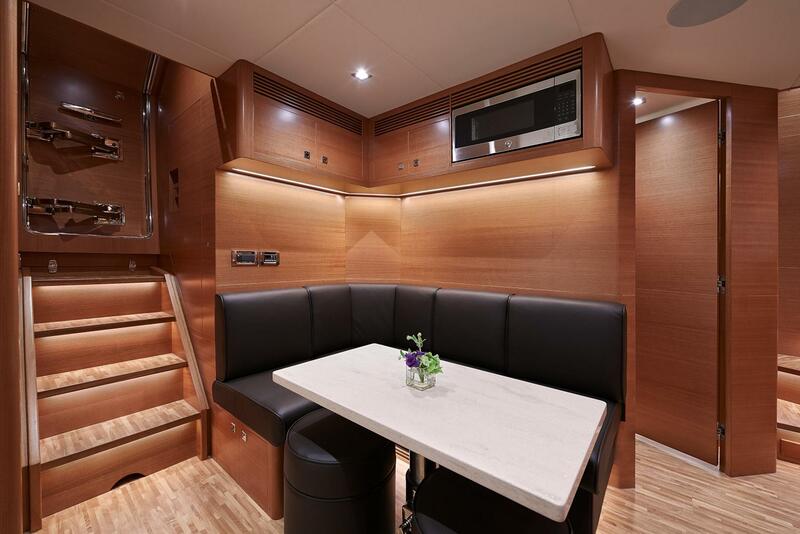 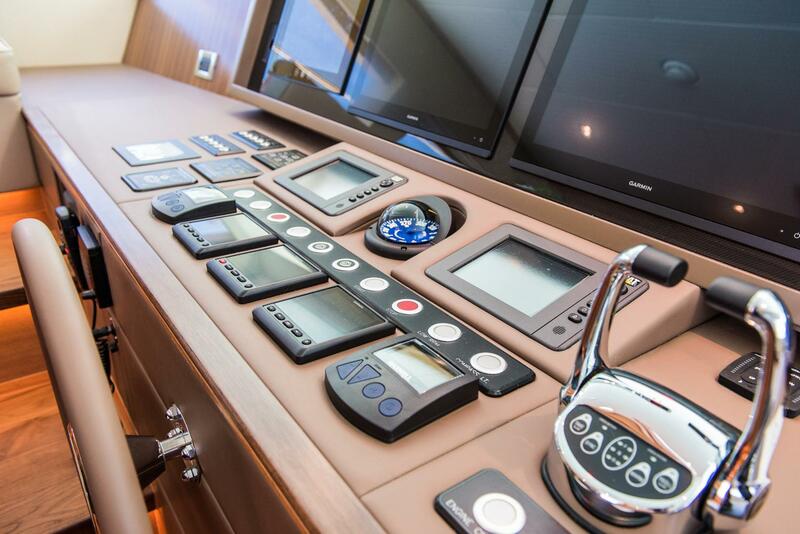 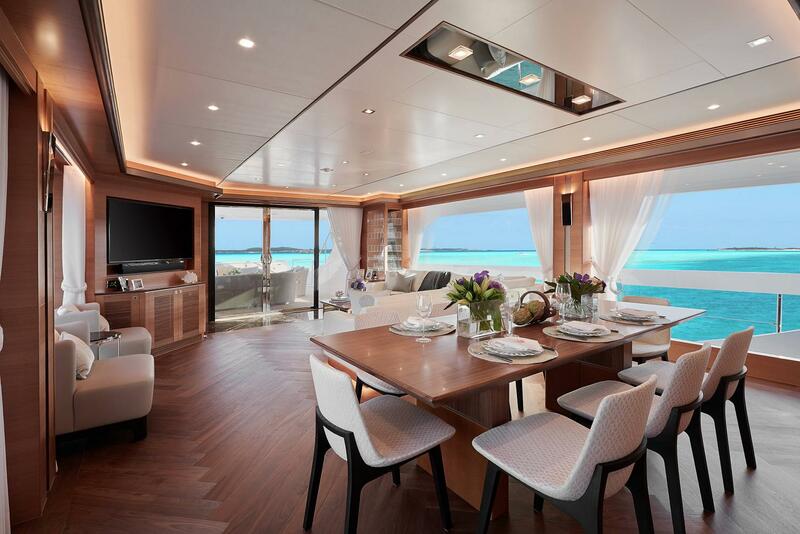 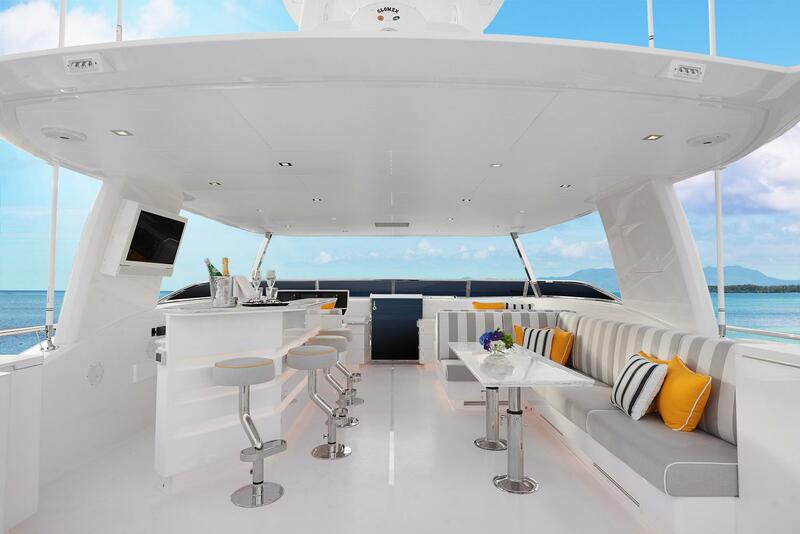 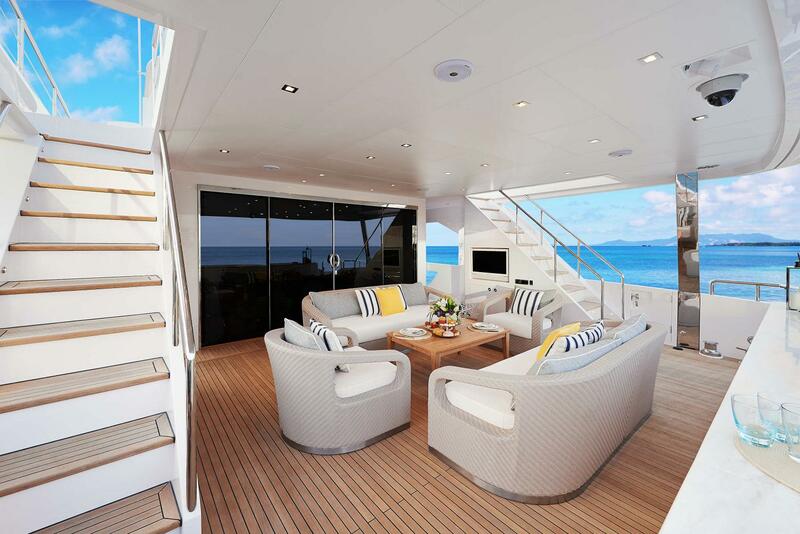 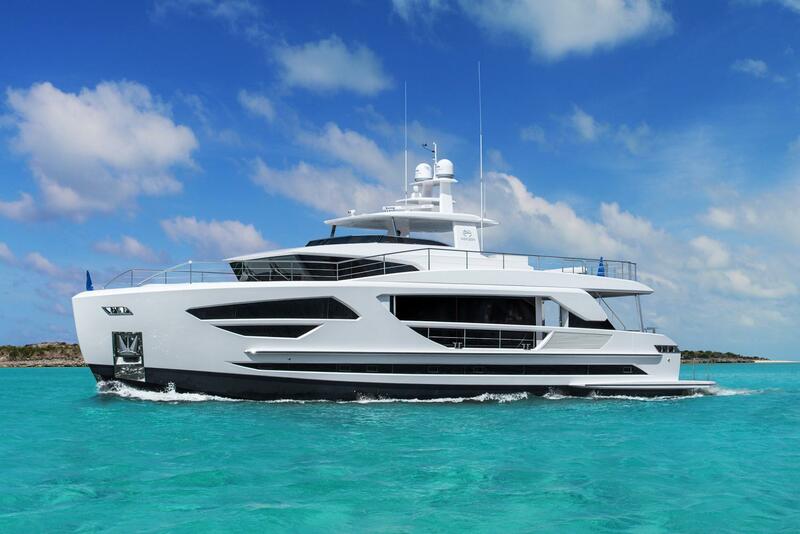 With a striking exterior appearance, efficient layout, and flexible speeds, the Horizon FD85 provides the opportunity to enjoy your surroundings while yachting in uniquely styled and luxurious accommodations. 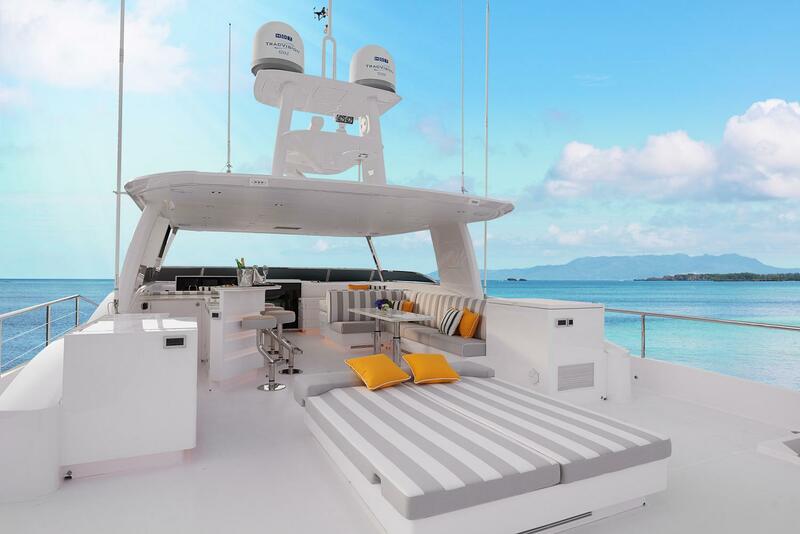 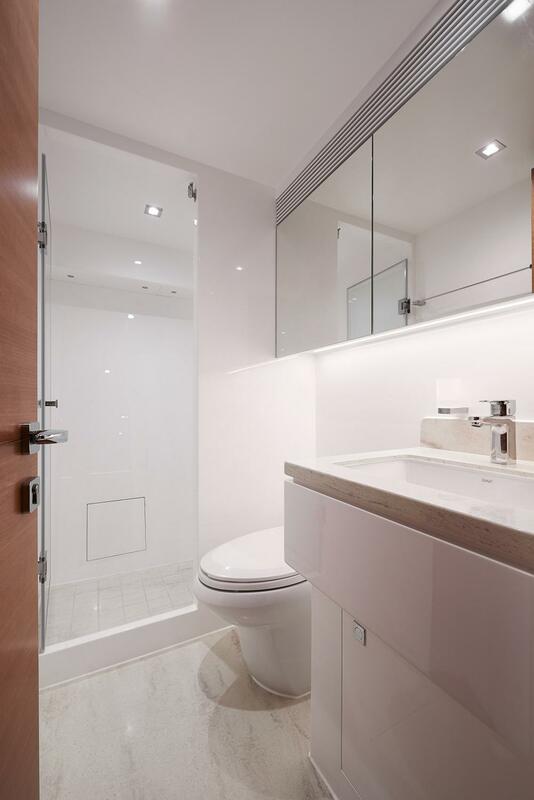 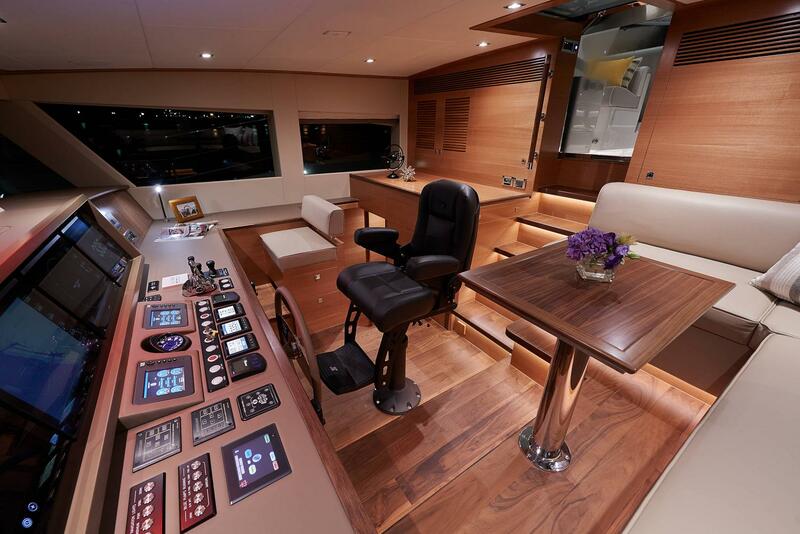 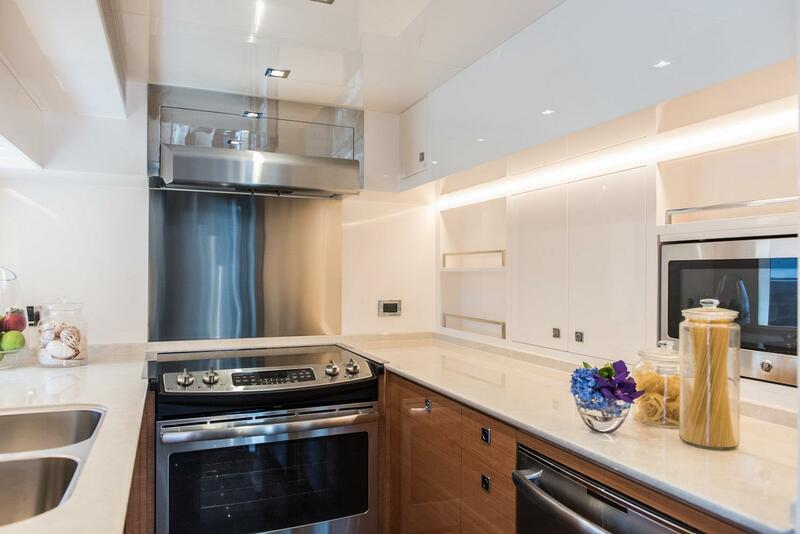 Take a virtual tour of the FD85! 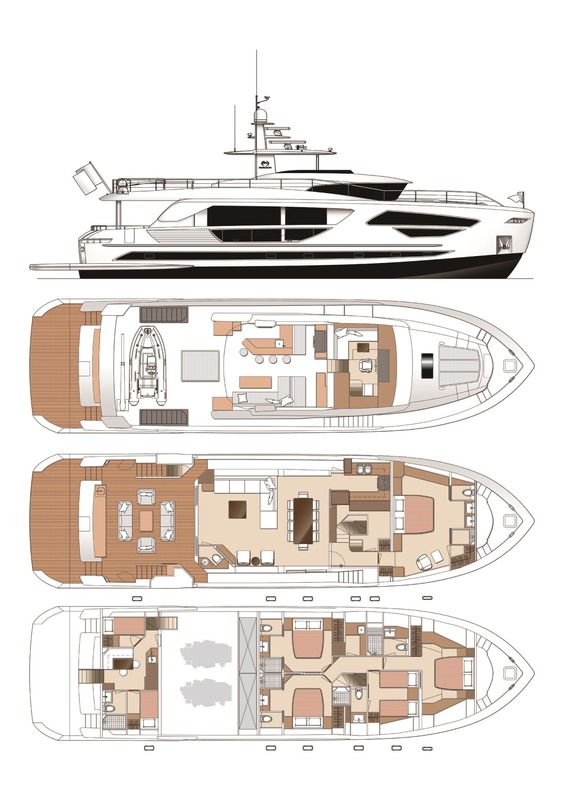 To get a copy of the Horizon FD85 Brochure sent to your email, please enter your information below.